Alfa Romeo is company long associated with attractive coupés and the GT arrived in 2003, based on the popular 156 saloon’s underpinnings. Alfa Romeo is company long associated with attractive coupés and the GT arrived in 2003, based on the popular 156 saloon’s underpinnings. A front-engined, front-wheel drive two-door, the GT offered decent practically for such a good-looking, indulgent purchase, with a pair of useable seats in the back and a usefully sized boot. The biggest issue for the GT was internal conflict, Alfa Romeo effectively stymieing its chances of success by adding the Brera to its line-up - another two-door coupé, only even more dramatically styled - just two years after the GT was launched. Not a huge seller, then, but its rarity is part of its obvious appeal, along with its sharp looks and chassis. Introduced at the 2003 Geneva Motor Show and styled by Bertone the Alfa Romeo GT was shared its mechanicals with the 156 saloon and 147 hatchback. It might be a dramatically styled two-door coupé, but the GT offered reasonable space inside, with a pair of rear seats - not quite a family purchase, admittedly, but not entirely impractical either. The engine line-up from launch included Alfa’s 1.8-litre Twin Spark petrol four-cylinder with 140hp, a 160hp 2.0-litre JTS petrol unit, a 3.2-litre V6 with 240hp and a 150hp 1.9 JTD common-rail turbodiesel. The two petrol four-cylinder options came with five-speed manual transmissions and the 2.0-litre with Alfa’s Selespeed automatic, while the V6 and turbodiesel featured six-speed manuals. That V6 is a very rare car in Ireland, thanks to punitive road tax costs, not to mention eye-watering official fuel consumption of 12.4 litres/100km (22.4mpg) - which is optimistic. Little wonder that the four-cylinder and diesel models were the more popular sellers, and the classifieds are made up largely of the 1.8 TS and 1.9 JTD, the 1.8 TS offering an official combined consumption figure of 8.6 litres/100km (33.6mpg) and that JTD 6.7 litres/100km (42.1mpg) - improving to 6.2 litres/100km from 2007. Trim choices included GT, Sportivo and Lusso, with some specials including Collezione Milano and Blackline. All came respectably equipped, with air conditioning and alloy wheels. It’s unusual to find a GT with cloth trim, as the interiors are more usually trimmed in leather, or Alcantara. TS 1.8-litre engines are prone to using a lot of oil, so check the levels regularly, while the diesels are economical and mechanically strong, too. Any trim level will be well specified enough even for picky buyers, so buy on engine choice. We’d have the 1.9JTD turbodiesel thanks to its better economy and emissions, its greater mechanical robustness and smooth driving nature. 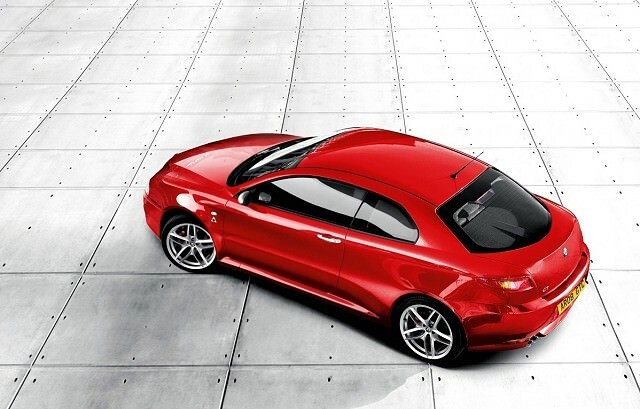 The GT is a good-looking and usefully practical coupé that you could justifiably fit the kids in the back on occasion. It's inexpensive to buy now, though running costs will be higher than its German or Japanese alternatives. One for the Alfa fans then, but that’s always been true, such buyers more than happy to put up with the GT’s quirks for its strong image and individuality.